the fash pack: you have a month! Let's face it: for your best skin ever, you trust Dermalogica. Now, we want you to tell us why you can't live without Dermalogica—and when you do, you could win a year's worth of skin care from us! 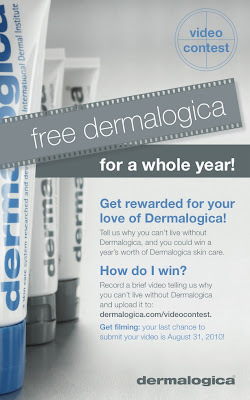 Submit a brief video on why you can't live without Dermalogica by August 31, 2010. 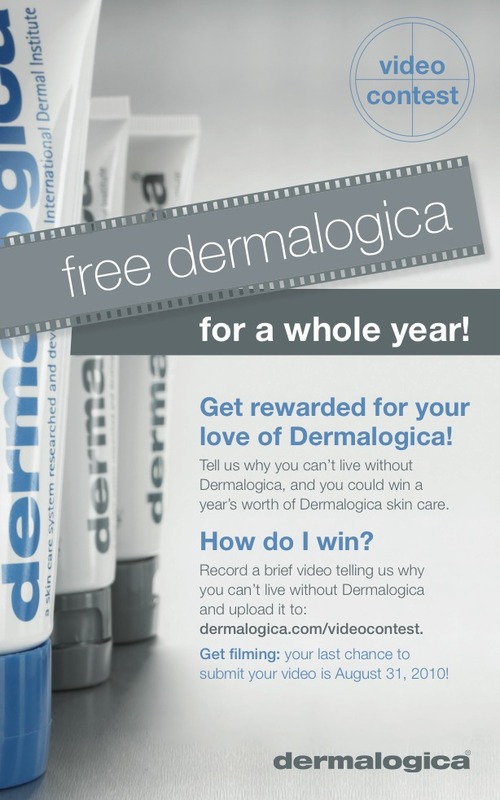 The top 10 videos with the most votes will then be voted on by the Dermalogica Corporate Headquarters team. Style and creativity will get you far! Winner of the contest will receive a year's supply of Dermalogica products! Runners-up (2) will receive $250 in Dermalogica product.